Bullet Proof Diesel has released a new line of EGR coolers for 6.7L Cummins featuring the patented H-Core technology, which was developed to resist the common causes of EGR cooler failure. 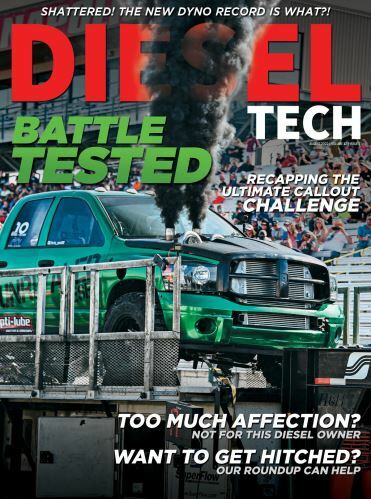 Bullet Proof Diesel has engineered a patented, self-accommodating ‘H-Core’ design that allows for the natural expansion and contraction of cooling tubes inside the EGR cooler. This limits structural failure, which can occur at the end of the tubes, rupturing the EGR cooler, rendering it useless and leading to possible engine component damage. The H-Core construction also increases the surface area of the coolant tubes within the EGR coolers, making them more effective heat exchangers than other tubed designs. The Bullet Proof EGR cooler for 6.7L Cummins/Ram applications does away with the stock components’ recommended cleaning schedule (the OE EGR coolers are recommended to be cleaned every 67,500 miles). The larger-diameter tubes within the H-CORE structure require no maintenance and will resist the common causes of EGR cooler clogging. Bullet Proof Diesel offers fitment versions for both pickups and cab/chassis configurations.